An in person support group and community for mothers. Join this drop-in group to listen, be heard and meet other mamas. Keiki in arms only please. Contact Aoki Birthing Care for more information. Doulas come to assist you in pregnancy or labor or birth or postpartum, whenever you want them to be there for you. Each doula has their own gifts and parameters so it is good to meet with them to see how it would be a good fit. They can help with meals, childcare, presence at labor, someone to talk to, postpartum duties and much more. 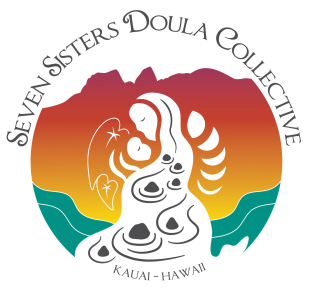 Kaua`i Doulas is on facebook and is a network where you can find an active doula. Sacred Birthing School, led by Barbara Essman, has been birthing many doulas on Kaua`i island. Linda Lee, LAc. (808) 652-3746, Hanalei, community acupuncture, sliding scale $30-$60; home visits $250. Jenica Springer (908) 591-3334, Princeville, structural bodywork with energy work, $120/hr, $160/90min.